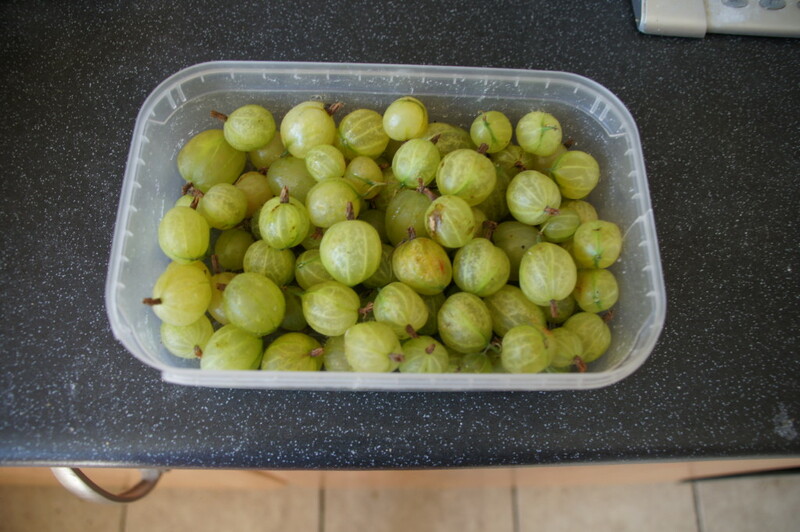 We have a couple of gooseberry bushes in our garden. They’re not looking too good at the moment as unfortunately they were obviously very tasty to some caterpillars. Luckily they still managed to produce some fruit. I was excited at this prospect as last year they produced absolutely nothing. They didn’t produce masses of fruit but I was still very excited! 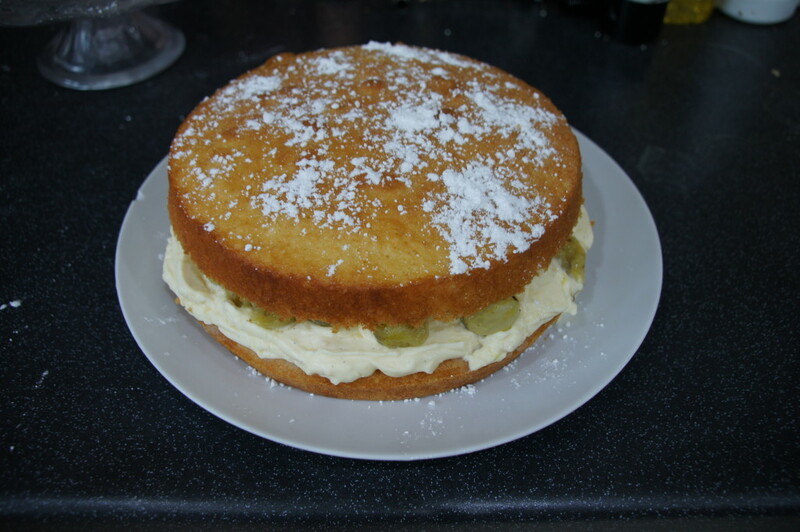 I had seen this recipe on the Delicious Magazine website ages ago and knew I wanted to give it a go. As it uses elderflower cordial, in the compote and in the creme patissiere I knew I should definitely try it to make use of the cordial I recently made. 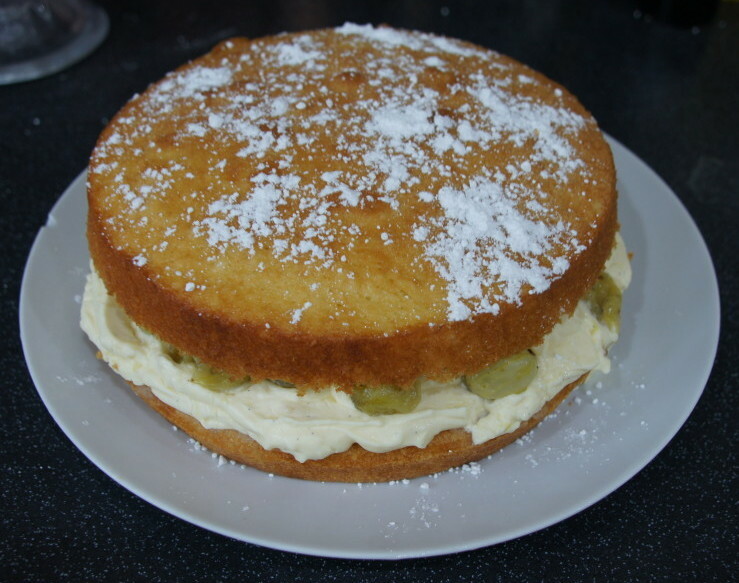 I am a HUGE fan of The Great British Bake Off. Back in the summer I saw on Twitter that the production company behind the spin off, An Extra Slice, were looking for keen bakers to be members of the audience. I quickly sent off an email, not expecting to hear anything back, but soon received a reply asking me to come and watch the show. After eventually finding a date a could do, I didn’t think much more about it until I had an email last week telling me it was patisserie week. 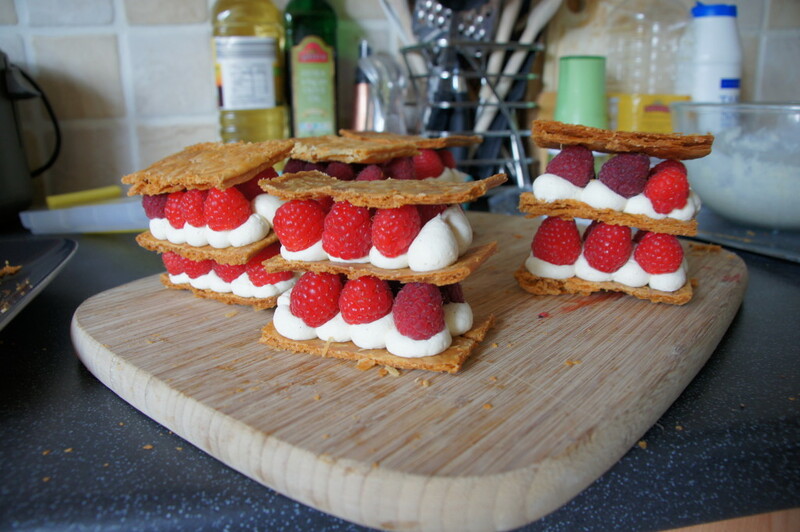 My first thought was ‘Aaaaaahhh I know nothing about patisserie!’ After having a look through some recipe books and trawling the Internet I decided upon millefeuilles.